If you’ve been following our story so far, you may remember an interview with us in The Daily Star that came out in July. In that article, our modest little project was paired with an interview with a prominent Member of Parliament, who seemed somewhat dismissive of our grassroots approach to public transport advocacy. He spoke about a BRT system that the government is pursuing, as though any single infrastructural project could stand alone in a complex sociotechnical “thing” like urban mobility. Though the pairing of our project with something as complicated as a BRT system is somewhat odd – they serve completely different ends – the unintended (?) and productive consequence of the journalist’s choice to put these two interviews in conversation was to highlight an important difference in rhetoric, and not (necessarily) in goals. This difference being, namely, the one between making do with present realities (a tactical, citizen-centric approach), and imposing radically new ones (a strategic, state-centric approach). 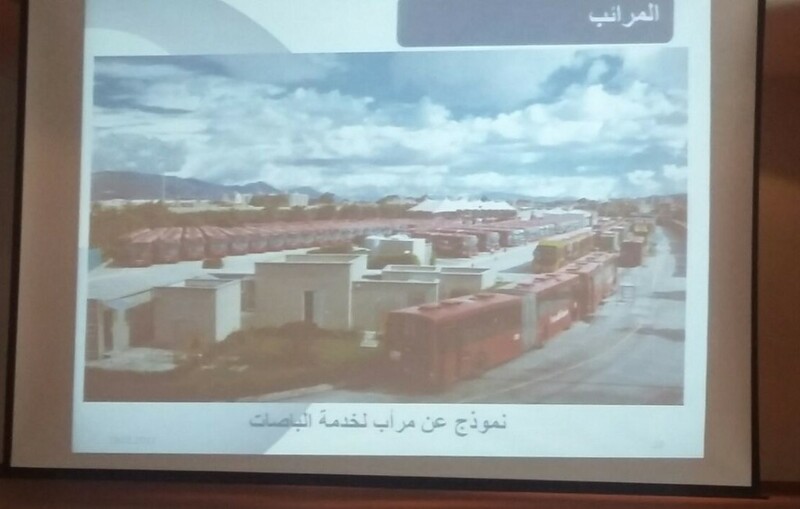 Yesterday, we had a chance to finally hear some details about this proposed BRT system, after being “teased” about it for a long time. A company called ELARD reached out to us and invited us to the first public consultation session they were organizing on the behalf of the Council for Development and Reconstruction, as part of an Environmental and Social Impact Assessment study they were conducting. This was a great opportunity to learn about the technical details of this proposed system (more on this below), but it also was a pleasant surprise — the event and our invitation seemed to indicate a serious (?) desire among policymakers to be a little more inclusive than we’ve been used to. Indeed, as Hanadi Musharrafiyeh of ELARD said in response to a great question about their participatory methodology, they could have easily stuck to the letter of the law and simply posted flyers calling people to the meeting at the Municipality of Jdeideh (and thus, dooming the session to formalistic oblivion); instead, they chose an “active” approach, reaching out to as many actors as they could, which we as Bus Map Project can attest to. Above is a summary of the components of the project, but before we get into the details of what we learned during the session, it’s important to reflect a little further on this desire for inclusion. We’ve seen proceedings of public sessions for various projects in the 90s and 00s. 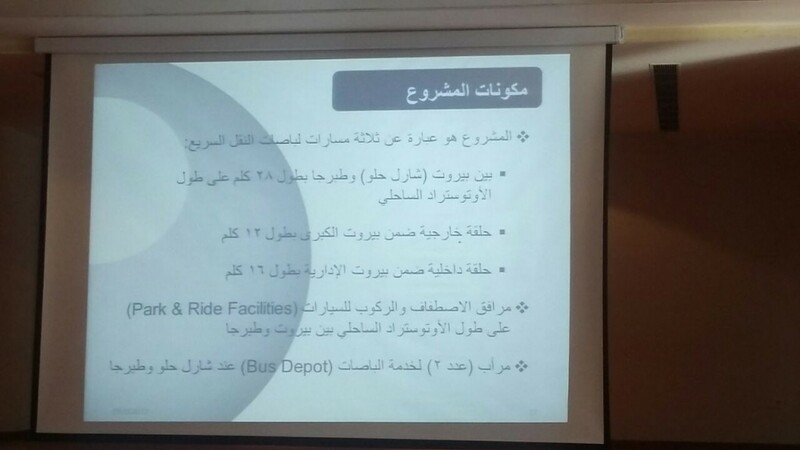 One document we’ve seen — of a session held in Bourj Hammoud to discuss the construction of Dora Bridge — stands out in particular for us: in it, a certain official from the CDR assured session participants that the traffic capacity of the bridge should last until 2015, as a comprehensive, state-regulated public transport system would definitely be developed by then. We’re now in 2017, and most of us who care about our cities have little confidence in any projections, promises or assurances. This mood was palpable in yesterday’s session, with Elias Maalouf of Train/Train directly addressing the issue by urging the consultants to avoid becoming “part of the long history of studies.” Having said this, however, we did sense a generally positive and open attitude within the session, and in the way that Fadi Matar in particular (representing CDR but not officially part of the panel discussion) responded to some questions and challenges from the audience. If this positive approach is genuine, then we can say that the rhetorical distinction between tactics/citizens and strategy/state need not be as stark as we tend to think. Indeed, evidence for the bridging of this gap may be seen in the BRT project design itself (as it currently stands; the study is still in its feasibility stage, and not yet officially in the design phase): even though it’s being implemented by the CDR, the BRT project is meant to fit into a broader strategy produced by the Ministry of Public Works and Transport (see above), with the OCFTC (i.e. 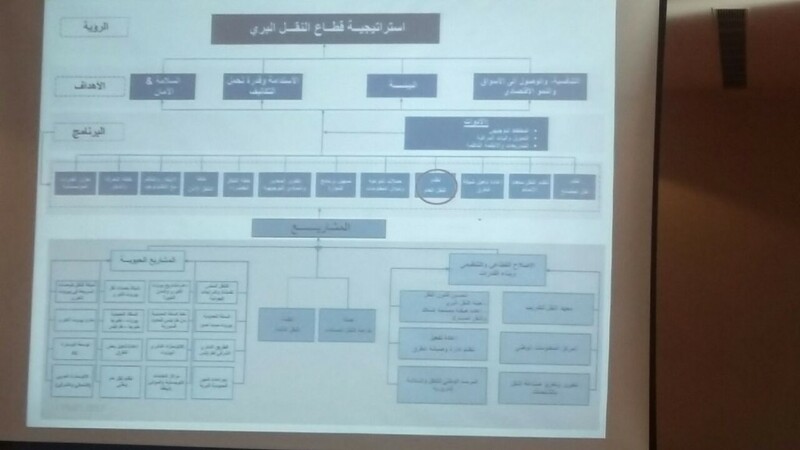 the Rail and Public Transport Authority) slated to operate the system. The very fact that the BRT will not use the old train right-of-way on the Seaside Highway, as we used to hear often whenever the BRT system was brought up in previous years, indicates that the CDR may be trying its best to work more delicately, and as a “team player.” Perhaps we’ve become too cynical as civil society actors, but we’d be lying if we didn’t say that we’ve come to expect more bullying and jockeying for power within “the” state (and perhaps there are more problems backstage than we’re currently aware of). More strikingly, the issue of existing public transport operators came up several times during the discussion, both from the podium and among the audience. This a huge leap, for us, as it was only a few years ago that we heard extremely dismissive and stigmatizing language being used in similar sessions. Indeed, even a few months ago, in a presentation from the World Bank, the issue of existing operators was included at the very bottom of a long list of “challenges” on one slide, but not even verbalized by the speaker. Hence, the fact that a) at least two audience members asked about plans to “integrate” (damej) the existing system within the project, and b) this was already being planned for, both on a ‘social impact’ level (in upcoming focus groups), and on a ‘design’ level (as feeder links that the planners assume will remain active), is a major step forward, from our point of view. With this shift, even on the level of discourse, we are hopeful that the days of violent, tabula rasa infrastructural fantasies can be put behind us now (*fingers crossed*). There’s a lot more we can say about the technical details of the proposed system, but we’ll leave that for another post. For now, we want to affirm that in this process, we see hints of a positive step towards a more inclusive, incremental approach to urbanism in Lebanon. As users of the existing public transport system with a stake in both championing and improving it, we look forward to helping push this conversation forward in any way we can, and hope to take part in the focus group sessions planned soon. Good luck to everyone involved, and let’s keep on keeping on. Previous Previous post: Access to Education: A Question of Mobility?